WhiteHat Aviator? Quite a mouthful. I am just like you. I am no Loreal India’s brand ambassador trying to dupe you by claiming so. I am very much like many out there who turn a blind eye towards the dangers that internet browsing poses. I have been screamed at, rebuked and often, left to myself (as I scream back in kind) for not being mindful of my personal security while surfing the very tempting waves of the internet. But you see, it is difficult for a web illiterate and some-how literate (that’s what I prefer calling myself) browser to tackle the challenges this space throws it’s way. How not to be tracked? How not to be kept tabs on? How to hide from the ever-present-seeing-everything eyes of the internet?And I for one, do not like to share a Tom and Jerry relation with anybody (or, thing, for that matter). Give me something which does the needful without me having to fuss over it, that would make me more than happy. For many who see through the same glasses as I do, WhiteHat Aviator would be a good news. Well, call it white, call it aviator, call it hat for that matter, as each one of these names are befitting for this web browser. It secures your head by way of sitting on your head as a hat. It is pure as the color white. It is a high flyer which flies above the other aviators. Sorry for the lame explanation, in the words of the sane-it is a browsing site which does not track, is secure and is private in every sense of the word. Conviction and determination give birth to innovation. The California based WhiteHat Security firm were not convinced of the unethical practices of the eminent others out there and therefore, were determined to design a space which catered what it claimed. WhiteHat is unique for its default feature. It blocks out tracking software and ads, all by default. So all those which aren’t as techlicious as they want to be, say Hurrah! It also blocks HTTP which are markers of your journey to a website. Further, outsiders are outsiders in case of Aviator. Those who do not belong to the circle of the home network are not entertained by the Aviator. It blocks access to non-routable local IP addresses. What about ads and media-player? What about them? There aren’t any ads on the Aviator and it does not play media files on it’s own accord. 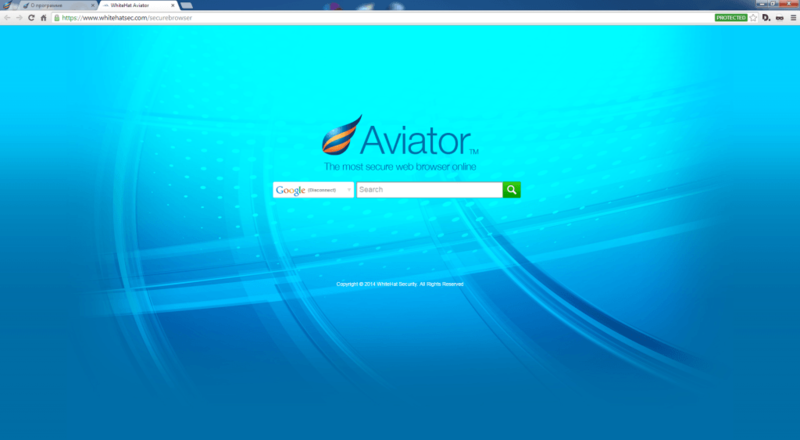 By doing without these eminent features of the ’eminent’ browsing sites, Aviator has been able to make a difference. Also Read : How to enable Do Not Track feature in Firefox web browser? The old adage-tell me who your friends are, and I’ll tell you who you are, holds true for all. WhiteHat Aviator is best friends with DuckDuckGo (which apparently is it’s default search engine and which, I believe, speaks volumes). Windows and Mac OS X here’s your security guard.